SPRINTING AHEAD: Kate McAloon ’20 jumps for the ball against a Wesleyan opponent. After beating Wesleyan (10-6, NESCAC 6-4) in a close 11-10 game at home on Saturday, the women’s lacrosse team (12-4, NESCAC 6-4) advanced to the semifinals for the first time since 2015. The Polar Bears will battle No. 2 Amherst (15-1, NESCAC 9-1), to whom they lost 16-10 during the regular season, tomorrow. 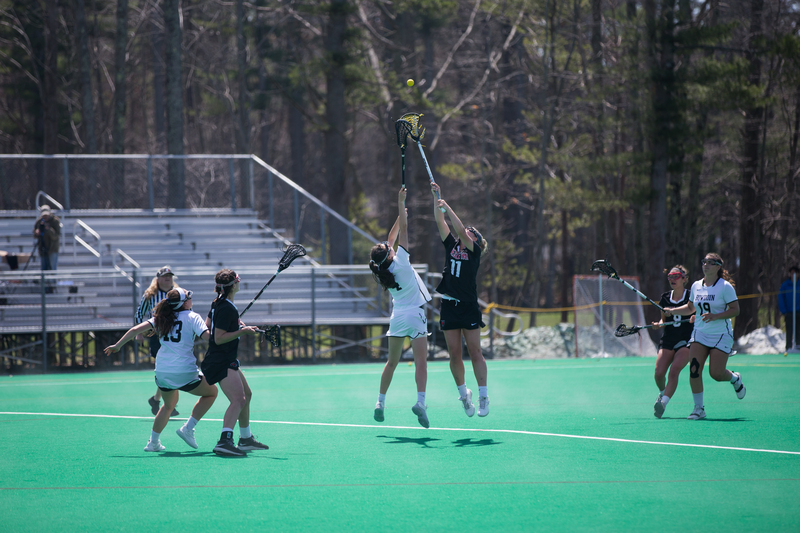 According to captain Alexandra Logan ’18, the win against Wesleyan proved that the Polar Bears can hold their own in close-scoring games. 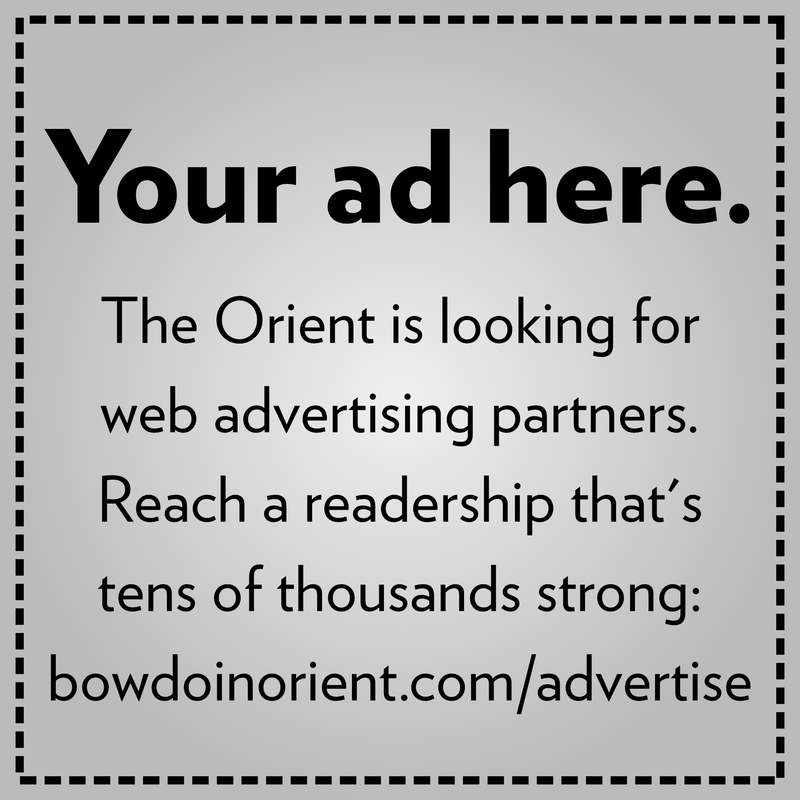 When the teams met last, Bowdoin also won by a small margin, topping the Cardinals 13-11. Although the game was tight, the Polar Bears were ahead of the Cardinals throughout the game, which was a point of accomplishment for them. Eliza Denious ’21 scored four straight goals within nine minutes during the second half of the Wesleyan game, making her the top scorer for the Polar Bears. Brown noted that individual players have stepped up during different games throughout the season. Elle Brine ’20 cheers on teammates from the sidelines. The players attributed their resilience as a key factor in their victory over Wesleyan. 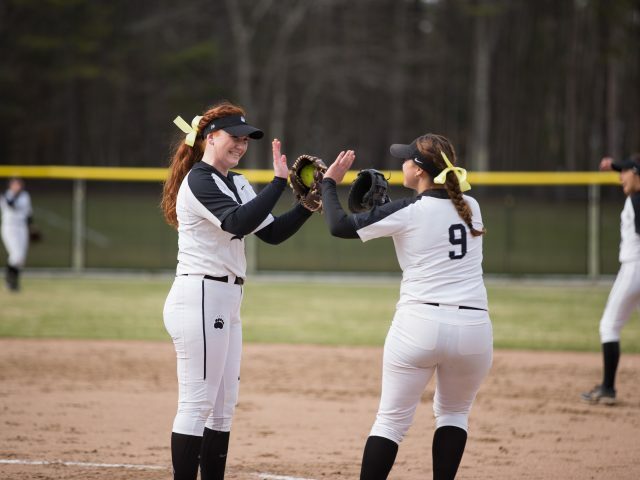 The team will play Amherst for the second time this season at Middlebury, and Logan believes that her team has changed greatly from its loss earlier in the season. Since the last battle against Amherst, the team has grown closer and worked on its skills. 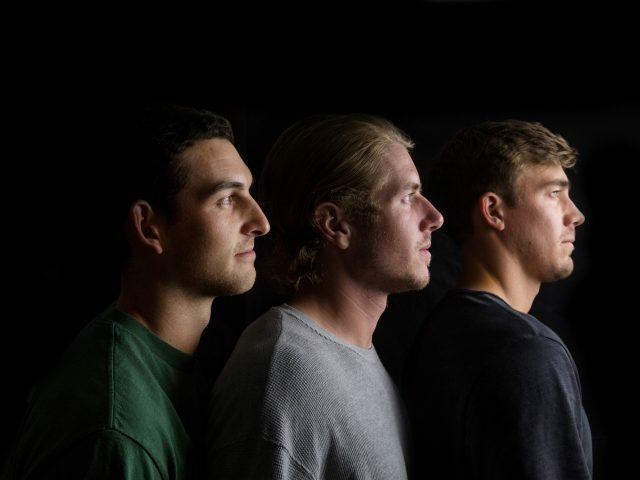 The team is hungry for a win against Amherst, who has one of the top offenses in the NESCAC. The Polar Bears, meanwhile, are focused on having fun and working as a team. The fourth-seeded Polar Bears will take on the Mammoths on Saturday at 3 p.m. 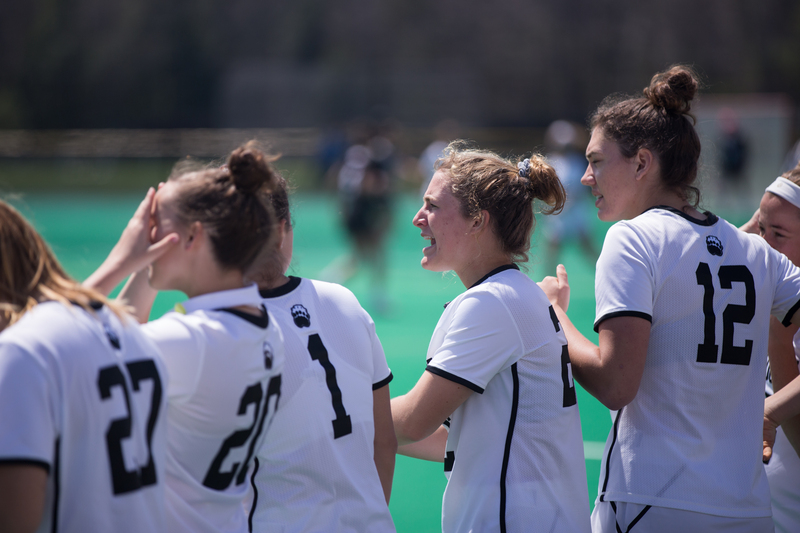 If the team advances, it will play in the NESCAC Championship game Sunday at 1 p.m.